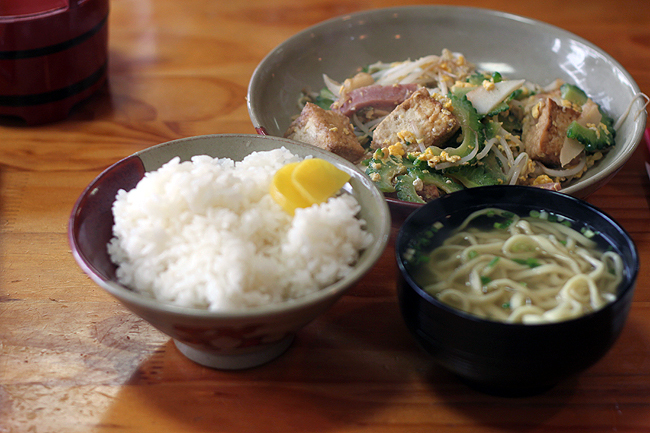 The scent, the sight, the taste; food is a transcendent experience. In childhood mom and I assembled Mexican and Italian dishes with fresh herbs and ingredients from scratch nearly every night. I was raised in Naples, Italy where meals were prepared fresh at home and have experimented with fresh cooking every since. Between cooking with mom I'd perch on a stool at the kitchen island and flip through her illustrated recipe cards taking in the retro food photos and kitschy compositions. Now I work part time in a raw vegan kitchen making amazing gourmet meals. Preparing, sharing, photographing and eating beautiful, nutritious food is a big part of my life; I'm an unrepentant foodie. Combine that with my life-long Japan-obsession and you have a crazy-person who's mouth froths at the sight of a plate of sushi! And I don't even eat it now, the presentation alone is delicious. Sushi on a track in Japan. 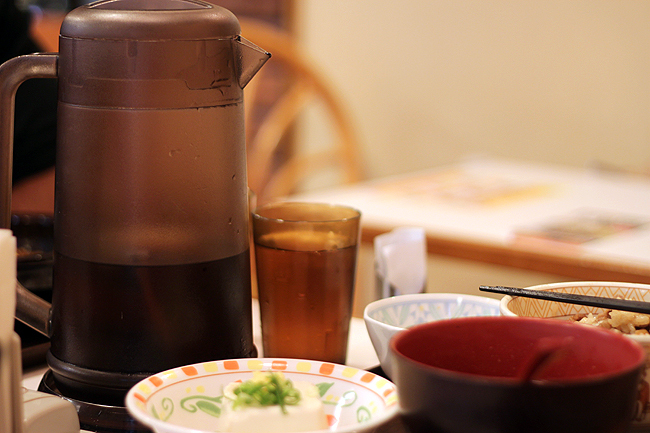 For years I experimented with Japanese dishes like their sandwich-equivalent, onigri, fresh miso soup, sushi and other staples. 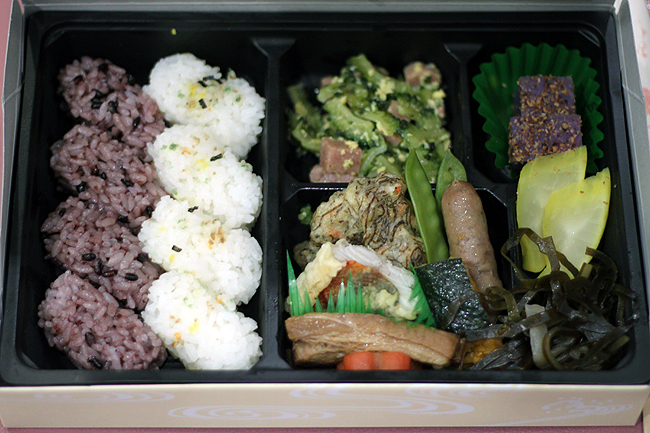 I spent hours reading and trying different recipes on Just Bento and Just Hungry and packed cute "bento boxes" during my days working in an office; ornamental and balanced Japanese-style lunches. For my first morning in Japan my friend JR took me to an adorable seaside cafe where I had...diabetes toast. 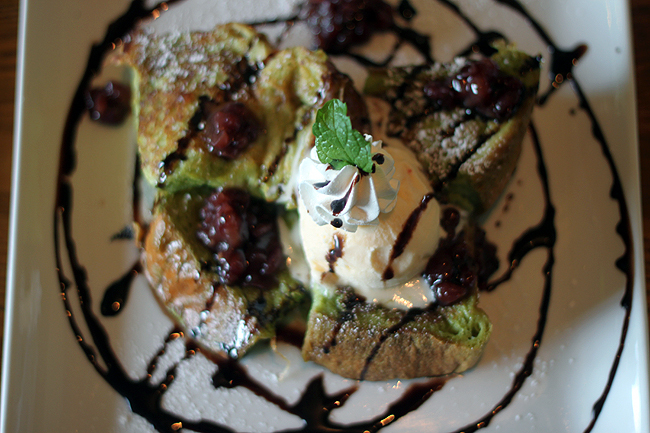 Green tea french toast topped with sweet red bean (popular for asian deserts), vanilla ice cream, whip cream, chocolate syrup and powdered sugar. I cannot comprehend eating anything like this now. I'd go into a coma. At least you'll notice the serving size is rather small. 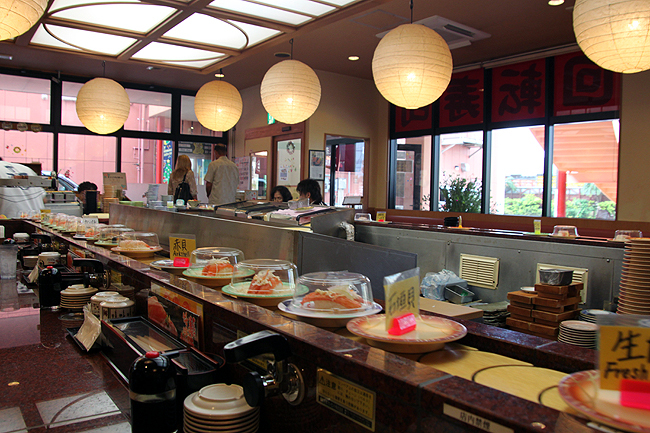 This sushi restaurant had different types of sushi rotate past you to choose on a conveyer belt, it was delicious and inexpensive. 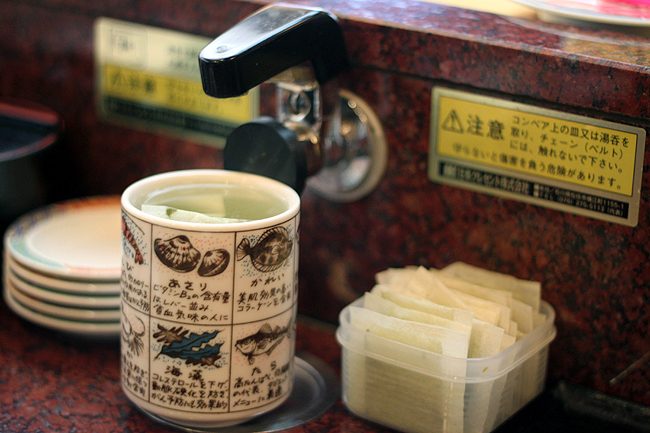 I loved the hot water dispenser for your complementary tea bags. 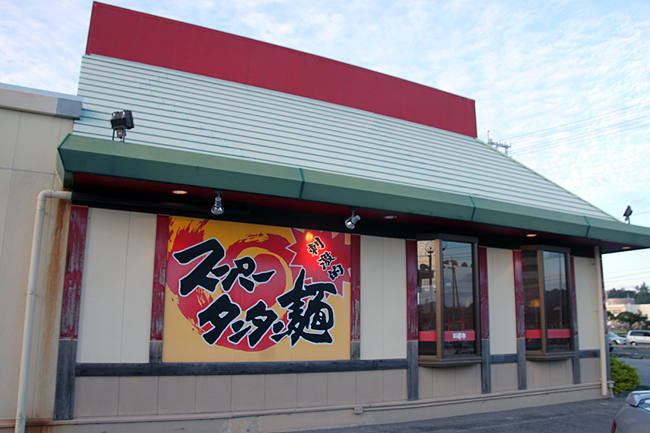 My first serving of Okinawa-style ramen was from this handsome chain, love that color scheme and sleek industrial feel of the place inside and out. 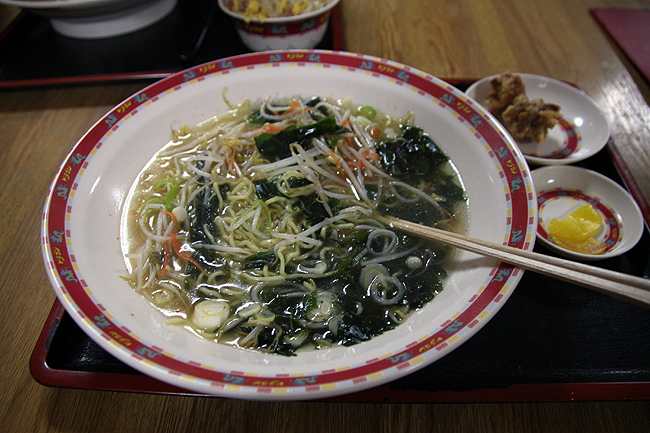 Real Japanese ramen is nothing like the packaged crap we're used to in the US. This treat was oily, salty, absolutely delicious comfort food. 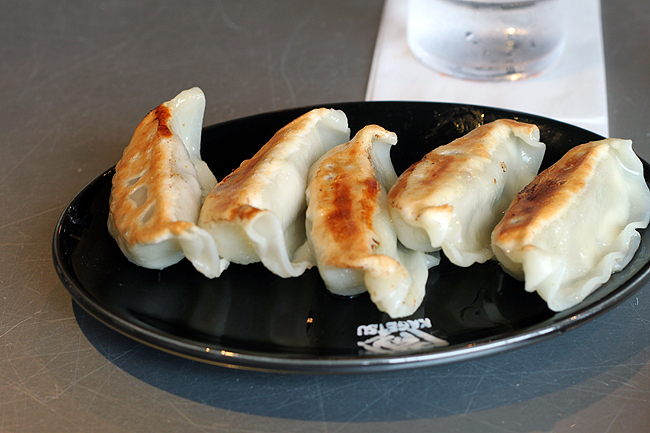 Served with perfect gyoza. 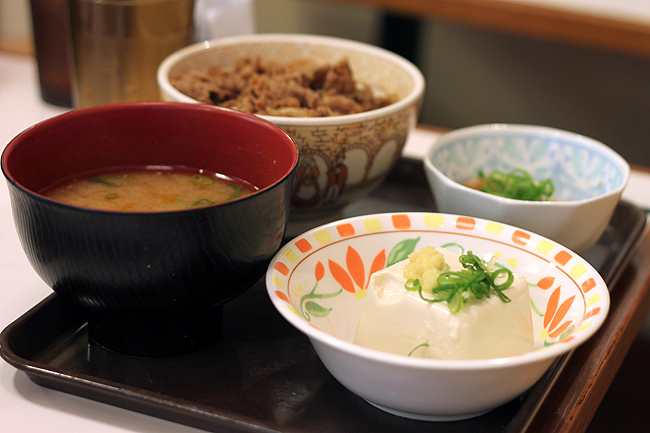 This may have been my favorite meal in Japan. 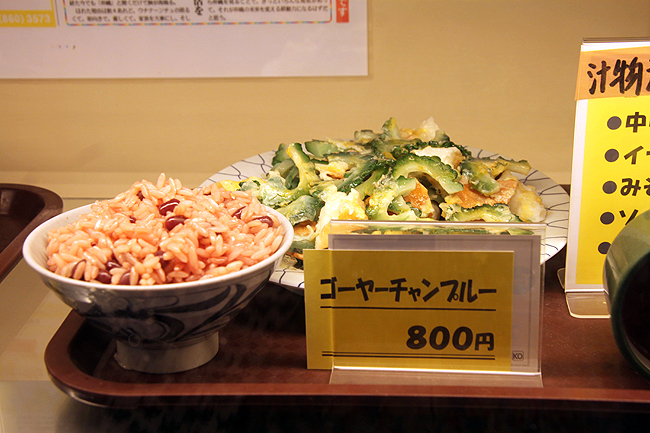 I'll share more on it later, but a lot of resturants in Japan have super-realistic plastic "fake food" displayed out front to help you choose what to eat and get an idea of what they serve. 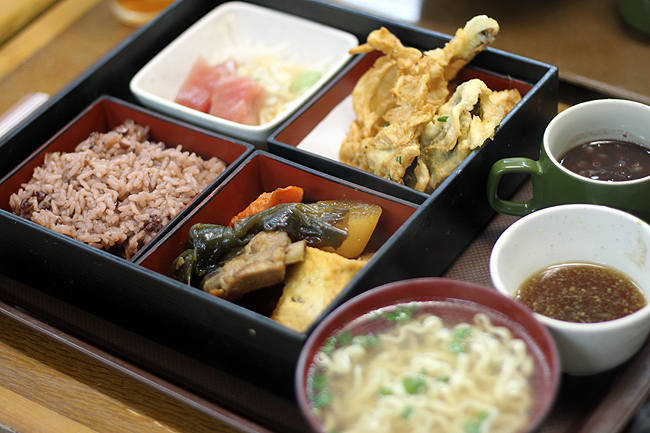 This case of fake food gave directions to a clandestine mostly-locals eatery. The menu had no photos but luckily I'd snapped a shot of what I wanted from the food display and showed the photo to the waitress. 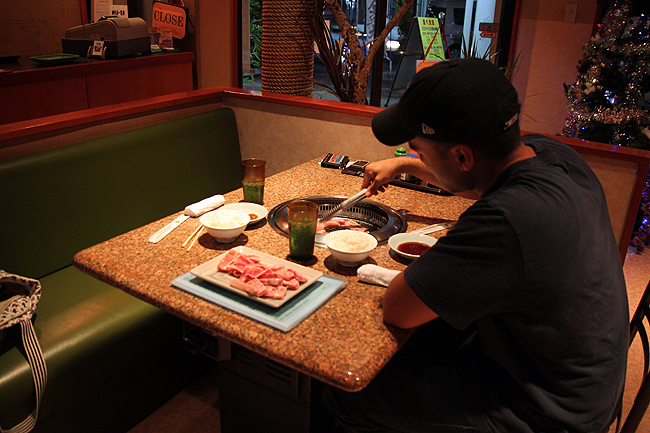 I recall this meal as being subpar compared to the rest of the places we'd tried. 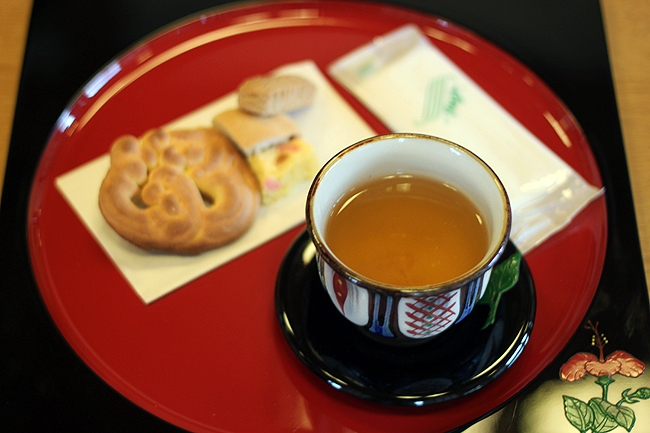 An old castle advertised a serving of traditional tea and cookies in a tatami room and my patient friend tolerated my desire to experience it. The bitter tea juxtaposes the sweet cookies. It tasted like your typical sugar cookie and grassy, bitter sencha tea but I enjoyed the hell out of the presentation. It left me inspired to treat guests to well-plated treats like this, you often eat with your eyes first! At one point I paused to document all of the different canned drinks I'd tried from the ample (awesome!) vending machines on our journeys. 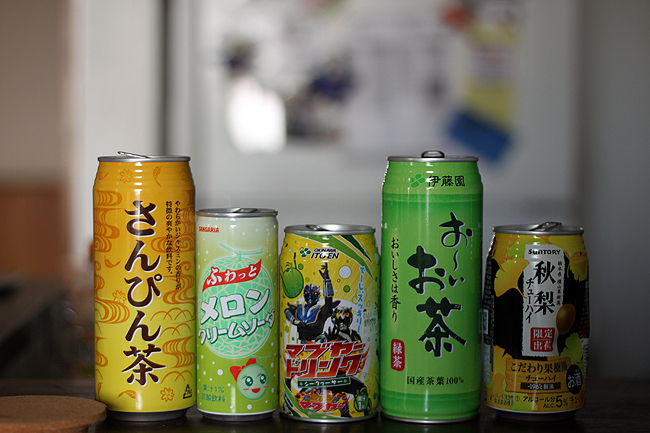 Here we have a canned oolong tea (my favorite, a smokey Chinese tea), a couple of melon sodas (the can with robots, love! 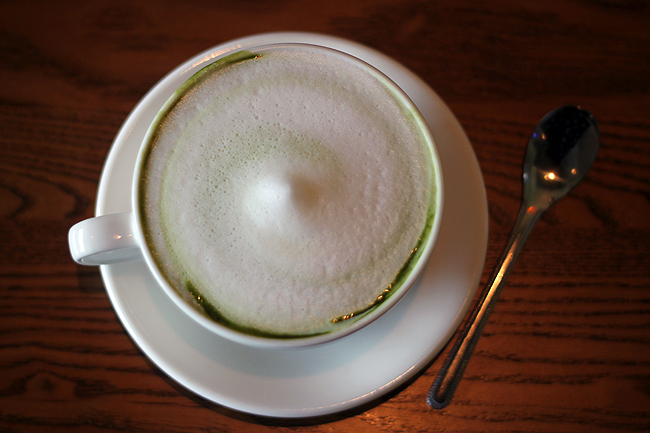 ), a sencha and wild card drink. 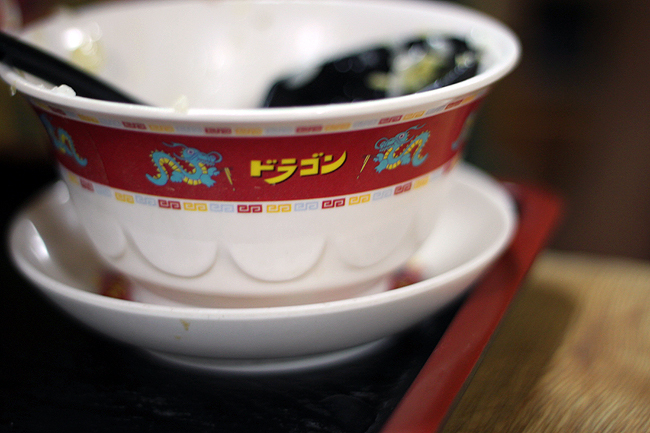 When we got back to town we had some more ramen and tea, I loved the chinese-style bowls. 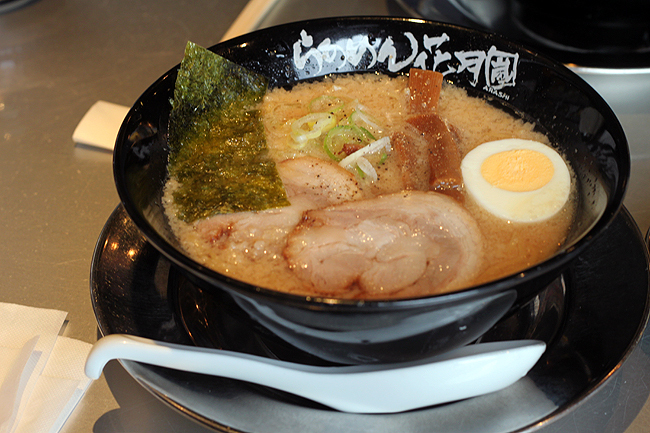 The ramen was pretty standard, not super memorable. We met a friend at the same seaside cafe where I enjoyed my first breakfast. This time my meal had too much bread! 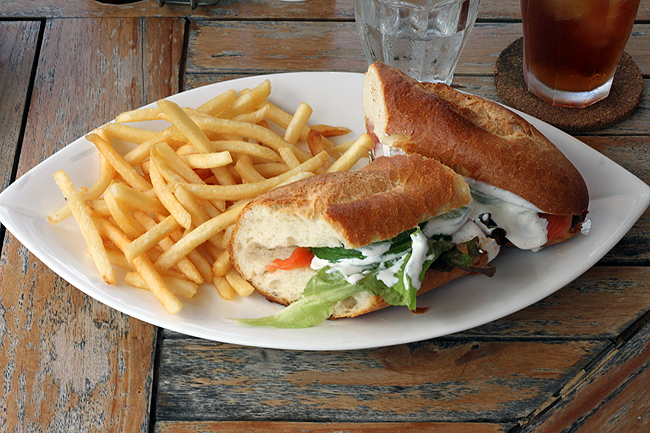 The sandwich dry and unsubstantial. Too much white carb here! 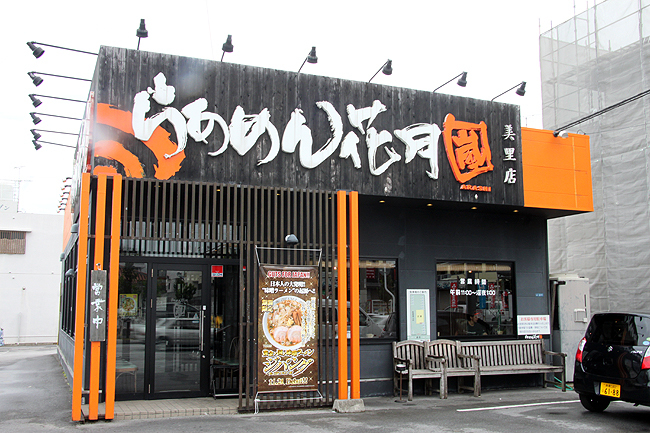 This chain restaurant meal was very good and a healtheir option with silken tofu and miso soup. 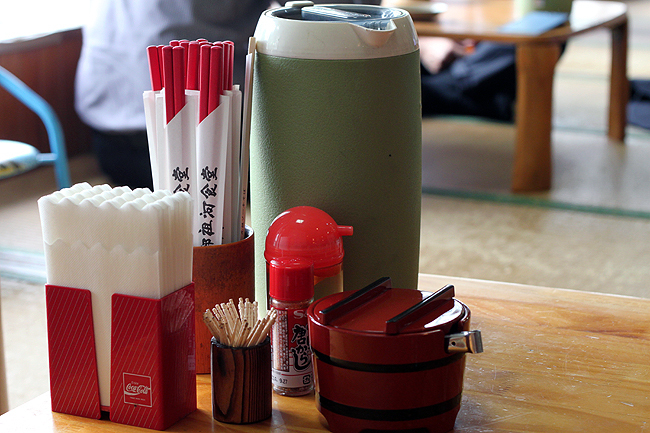 I loved the complimentary barley tea this was served with, supposedly good for digestion. Again- I could eat that presentation. This is a chain! Details! Delicious details! 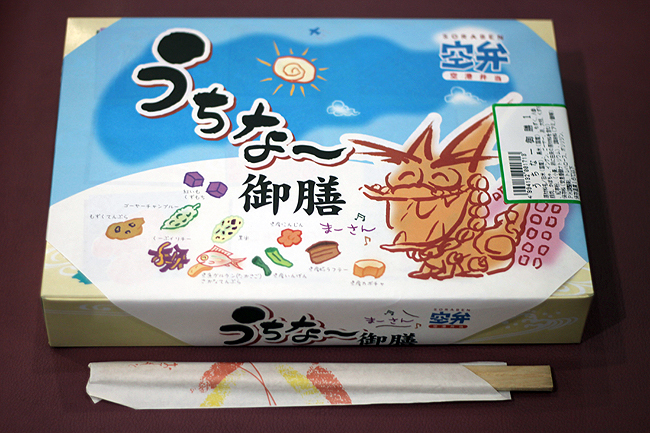 I'd always wanted to try a combini (convenience) store bento. 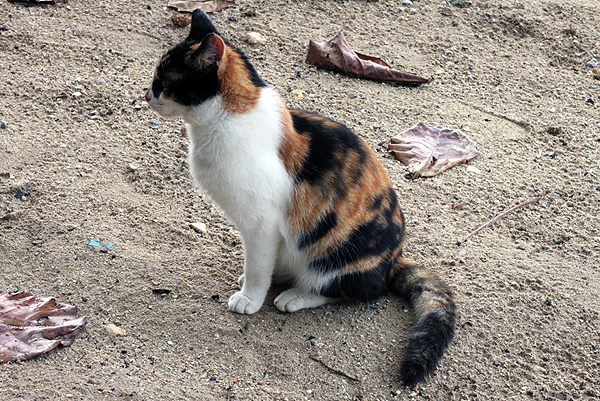 I had this one on the beach with oolong tea and made some cat friends along the way. Nice presentation but it was dry and the fish was unpleasantly boring. Wonderful tea, though. Oh, those meat-eating days! 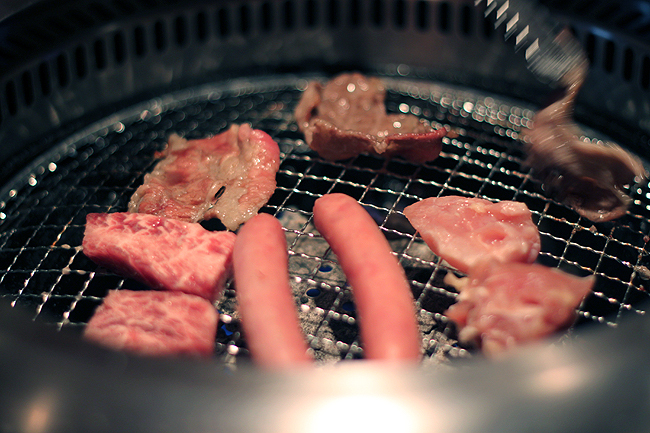 I recall feeling bad about it at the time as I was already making a transition to being vegetarian but went along with it, I wanted to experience the novelty of cooking meat on a little table grill that I'd seen in different forms of Japanese media. 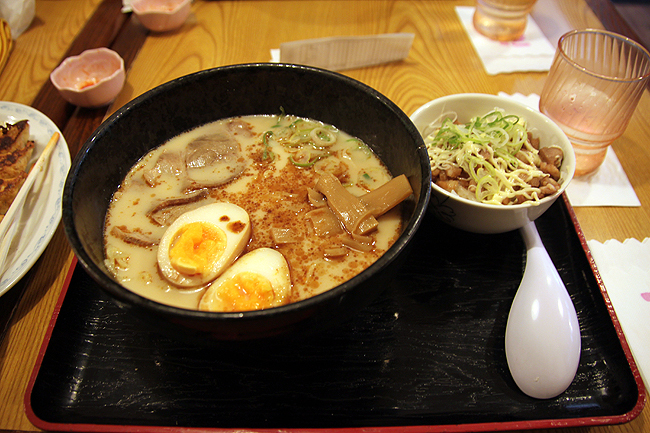 Just look at that amazing, oily ramen, toasty gyoza and yolky egg. Another delicious stop. This traditional stop was my favorite. 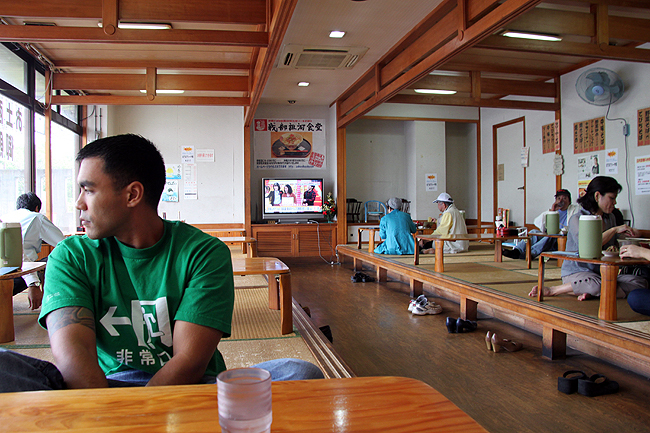 Okinawans have the longest life-spans in the world and their mostly vegetarian diet is often cited as one of the reasons. 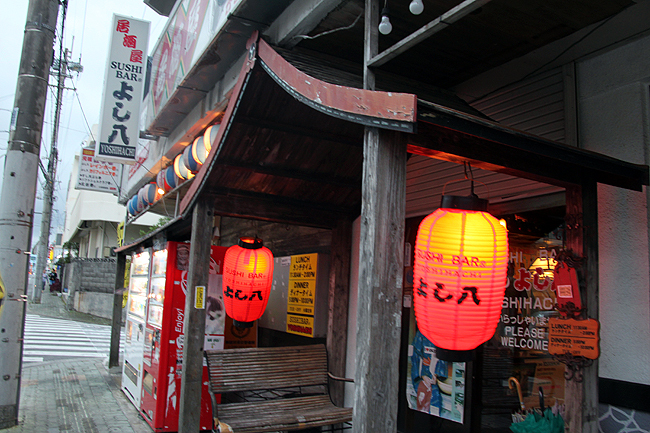 I wanted to try traditional Okinawanan fare and this restaurant did it justice. The bits of green your see is goya, a "bitter melon" that's said to be very healthy. It's hard to make this without a bitter taste but the goya served here had no hint of bitterness at all. 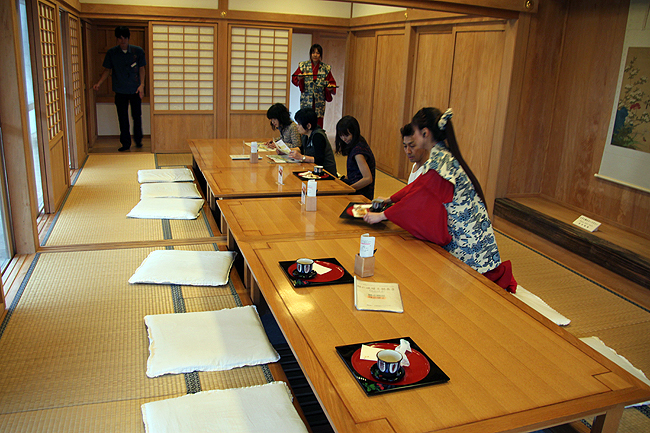 I love the traditional tatami matts and tables. 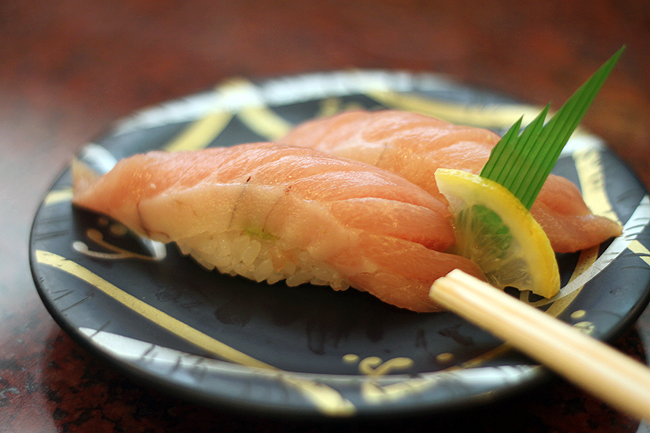 JR saved "the best for last" with the famous Yoshi Hatchi sushi bar. 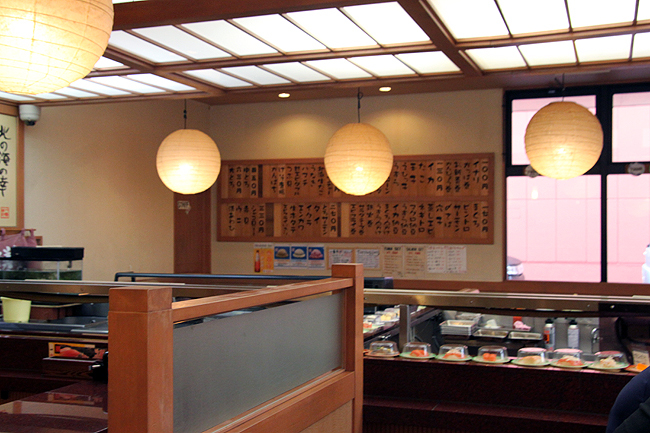 The walls are filled with photos of celebrities that have come from around the world to taste this sushi. 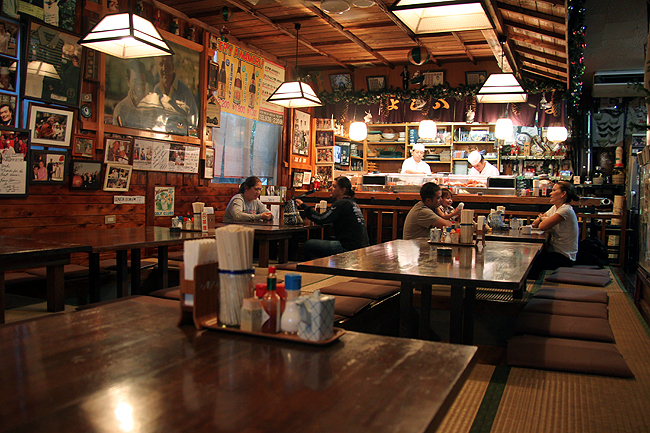 It was a small, cozy, traditional space with warm lighting and textures. 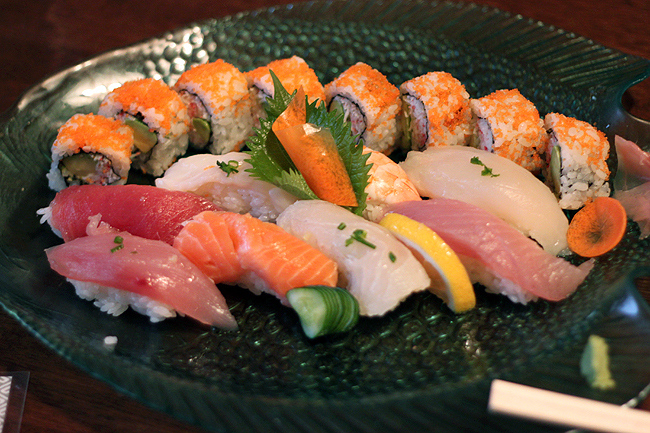 The sushi was good with generous portions. I said my goodbyes to Japanese food at the air port, spending the last of my yen on a bag to carry the ample souveniers I'd bought for friends and a last bento box. This goya was very bitter and the food not as fresh as resturants. I've heard good things about bento boxes on trains and train stations but the airport one was a little lackluster. The presentation never fails, though! 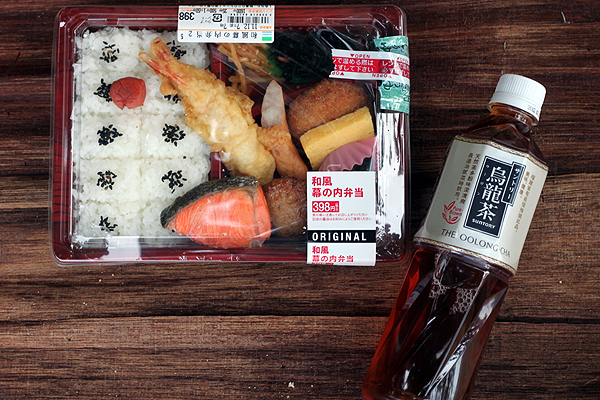 A big part of my love for Japan and their culture is all in that flawless presentation. A designer's dream. 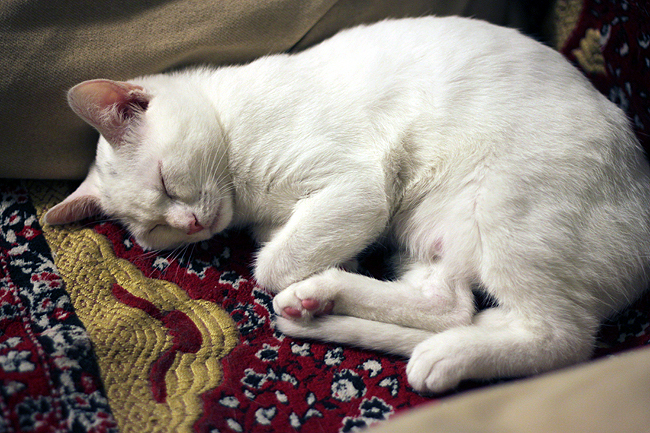 And so I flew back to the US, retrieved the then-kitten Yuko-chan from her cat-sitter, and looked around my kitschy apartment. Every time I come back from visting a foreign country my apartment feels lifeless, empty and sad. It looses its "homeyness" somehow and I long to be back where I was filling up on fresh experiences. I have a strong wanderlust, experiencing other cultures feeds my creativity, my soul. Thanks for letting me indulge in sharing some of my favorite experiences with you. I'm excited to travel more, make more memories, reflect, and course, share them!